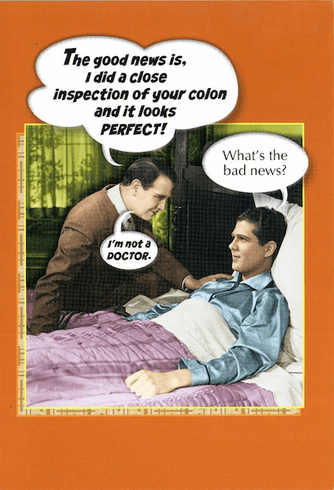 Outside: The good news is, I did a close inspection of your colon and it looks perfect! - What's the bad news? - I'm not a Doctor.